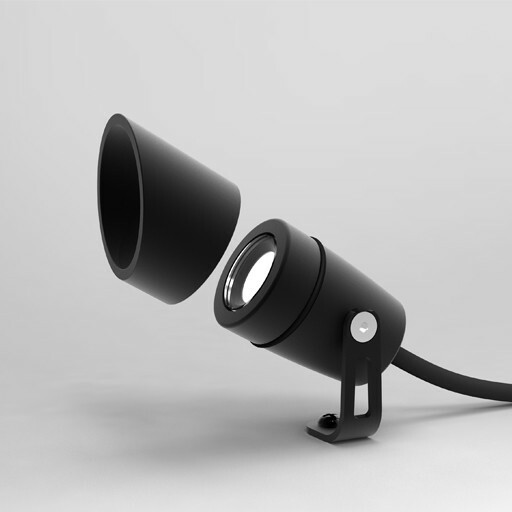 Miniature adjustable spotlight delivering 119 lumens light output. Great for lighting beams or garden planting. 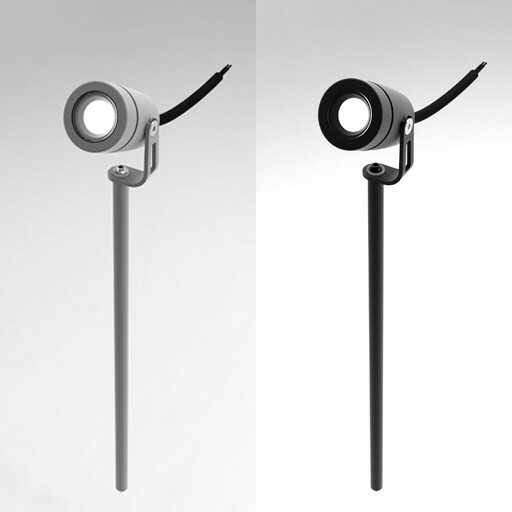 Two accessories are available: A glare cowl which can be rotated to hide glare from odd angles, and a soil spike which is ideal for garden/planter lighting. Other features include the ability to change optics with a screw on bezel. Its performance is the same as the LD82. The differences are the fixing method, the knuckle detail, cowl detail and IP rating. Colour of the ground spike (best chosen to match the fitting). Colour of the anti-glare cowl (best chosen to match the fitting). Miniature but punchy IP40 LED spotlight delivering 127 lumens. Great for flexible display lighting. 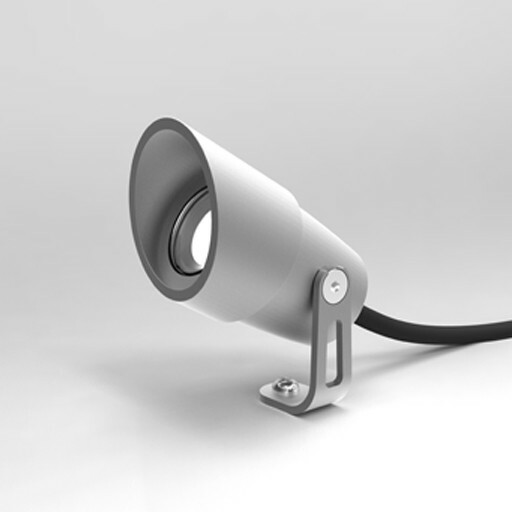 The LD82 is a high power, miniature LED spotlight with a drive current of up to 700mA (2.4W). It utilizes the latest LED technology with a typical CRI of 93 in warm white, making it ideal for lighting displays where high CRI is required. The spotlight is mounted on a matching knuckle joint allowing easy adjustment and focusing, and the stem comes in different lengths. It’s performance is the same as the LD51. The differences are the fixing method, the knuckle detail, cowl detail (available on the LD51 only) and the IP rating. 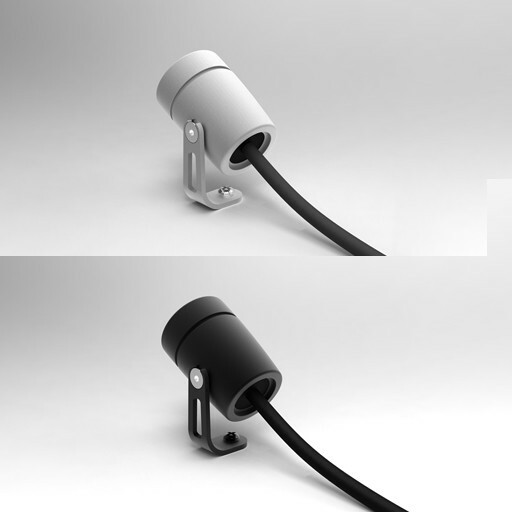 The LD51 is an IP67 miniature low glare surface mounted LED Spot. 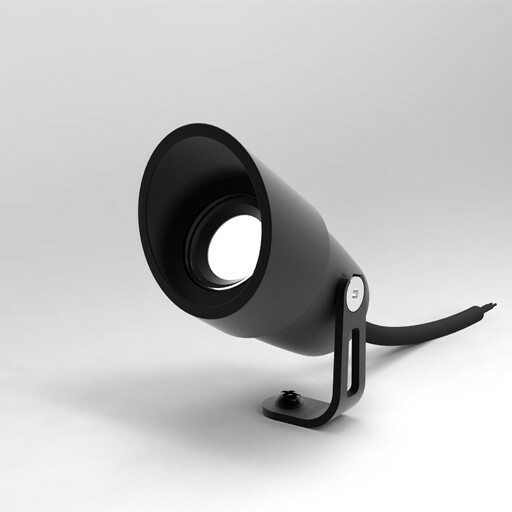 It delivers very high light output (119 lumens) for its size and is ideal for garden/planter lighting and accent lighting, e.g., on beams. 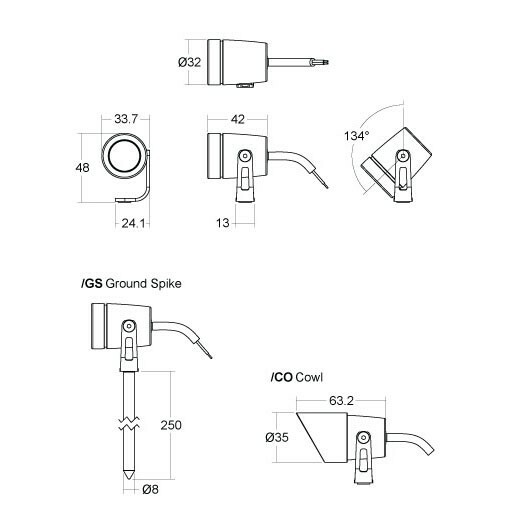 They are rated IP67 making them suitable for interior or exterior applications. When used externally it is imperative that properly waterproof connections are made, to prevent water tracking up through the cable. Comes pre-wired with a 2 core 0.5m lead.